Well, a year ago I would've said no. I was working a corporate job and spending way too much time on a commute, drinking with colleagues, entertaining clients in restaurants... it all sounds like fun but it was starting to take its toll on my wellness. I was at a company that had sold me the dream of being a great place to work, but the reality was it wasn't. Everyone was expected to be in the office until late every day, even if they weren't actually doing any work, you still had to show willing, and to me that was insane. I felt like a child being babysat. Fast forward just over a year and I spend most days working from wherever I feel like, and that's normally my little desk in a pair of tracksuit bottoms with some relaxing music on and a scented candle burning. I start relatively early, normally with a cup of tea at about 7.30, and I break every lunch time to go to a gym class or a jog around the park. I love actually taking a break in the day because it clears my head and re-energises me for the afternoon, and I also love the fact that it's not because I'm trying to escape from my office and boring job. I work late if I feel like it, and I try to make sure I take some time for myself in return, maybe by booking a haircut on a quiet morning instead of rushing around on a Saturday. And do you know what? I really feel like I have a great work life balance now. In one of my favourite podcasts The Alpha Female Podcast, the host Robyn Baldwin actually changed the definition of what an alpha female is after a guest suggested that alpha's should strive for work life harmony rather than balance. Because after all balance suggests that the scales are even, and that would indicate that work and life should be even, but what if you choose to put more into work one month, then more into life another, and what about when work and life collide? Does that mean they are imbalanced? Whatever you call it, the balance or harmony of work and life is measured in the Ultimate Values Evaluation. We often see a picture of people who are going to work, and putting on a great front, being successful even, but in the background they're not taking the time for themselves, they're neglecting themselves and that's almost always combined with a big chunk of self criticism. If you're going in to work and operating from a platform as unstable and wobbly as this, then at some point it's bound to tip the scale and start affecting you in work - whether that work is in an office, in a company, or as a solo-preneur. It's hard to prioritise yourself when so many other things are important, but my tip would be to sit back and reflect and recognise when you need to give yourself some love. 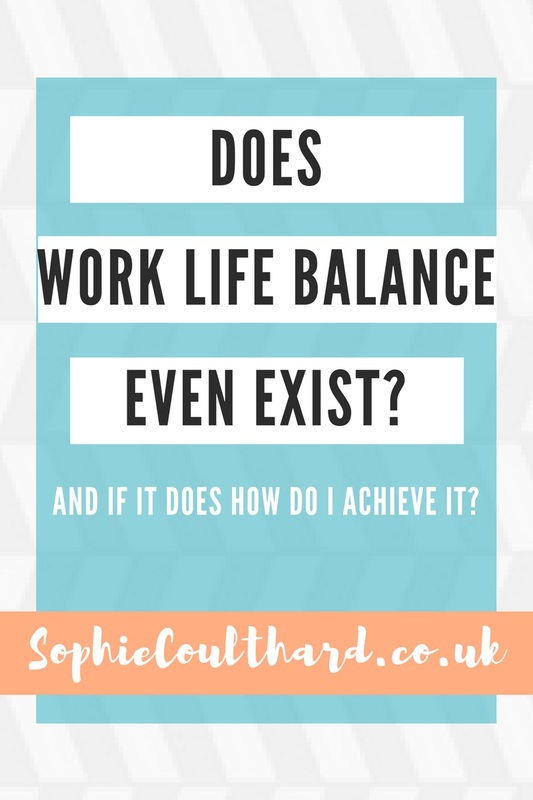 I'm going to cover much more about this, including my "wedding cake" theory in a future blog, but do let me know your top tips for finding work life balance or harmony, and please check out the Alpha Female Podcast! If this blog resonates with you then it's bound to be your new favourite podcast I'm sure!